As I was browsing Pinterest I came across some super cute cactus decor ideas and I wanted a place to curate all of those items and add some of my favorites here for you too. As we head into Spring and Summer you may want to redecorate your bathroom and add some more color to it. This is a great way to do it without breaking the bank. I love this theme for bathrooms as it brings the whole room alive, the bathroom is not the best place to keep loads of plant life so these decor items help brighten up a dull bathroom and recreate the feeling of being in nature. 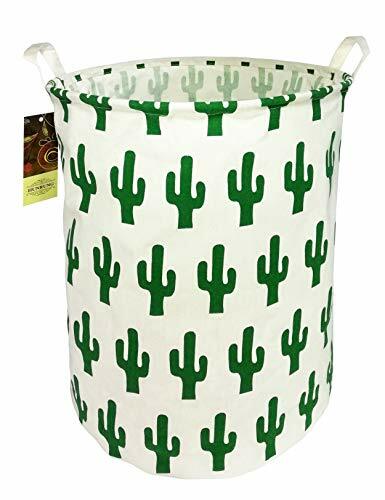 I just wanted to highlight my favorite cactus print shower curtain that I found although there are tons of other options to chose from. What I like about this set in particular is the color pallet. 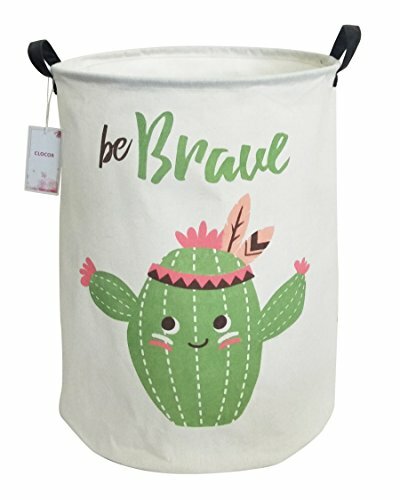 You get beautiful cactus designs printed throughout with splashes of yellow and pink which work really well with the green. I love how the cactus are shaded pulling the whole design together. Here are another two options for shower curtains that are popular. 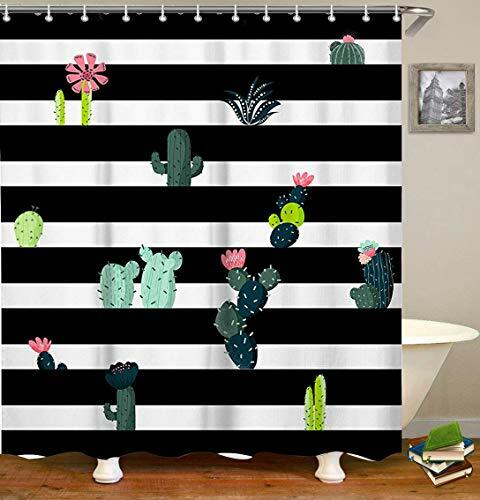 The LIVILAN shower curtain beautifully combines the cactus print with black and white stripes for a striking contrast. 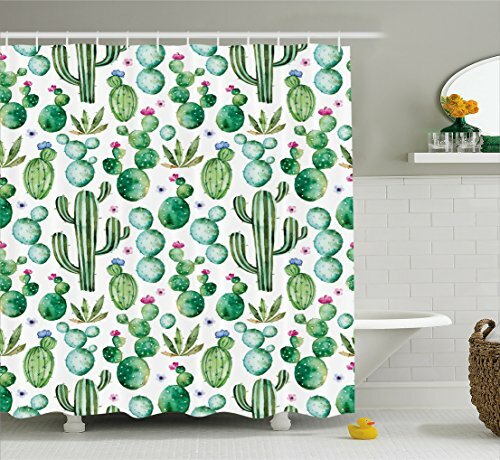 Or you could opt for a simpler cactus print shower curtain with no other distractions. 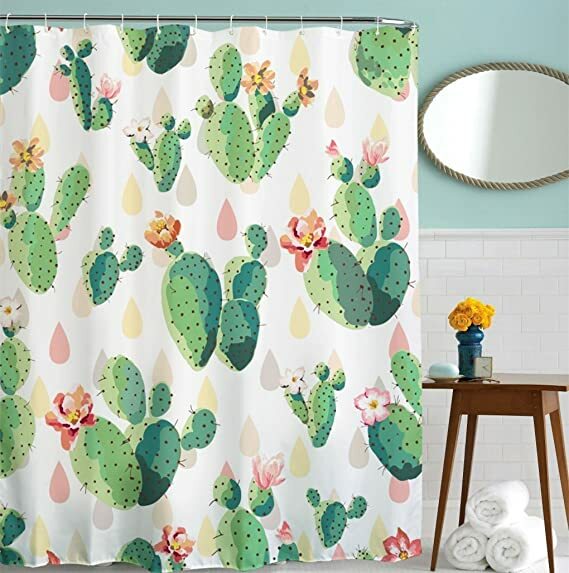 I just love these cactus themed bathroom sets from Zazzle that I shared on Pinterest. You get a toothbrush holder and hand soap dispenser to keep your daily hygiene in check. If you are looking for art to display on a bare bathroom wall these colorful cactus prints are perfect. 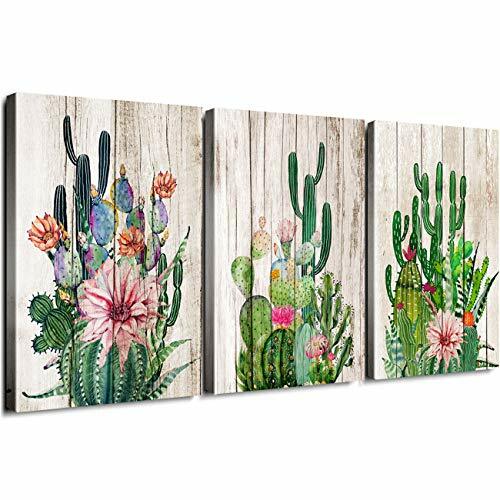 Along with the distressed wood design I love all of the colorful cactus flowers that feature prominently. To further empathize this you can add some pastel pink items to your bathroom, green and pink work exceptionally well together. Once we have all the cute things in place it’s time to think about practicality. These canvas laundry hampers make sorting dirty clothes less boring. The cartoon cactus is great for families! This has to be one of my favorite bathroom themes that I have seen so far with the green and pink a match made in heaven so I hope you’ve found exactly what you’re looking for.